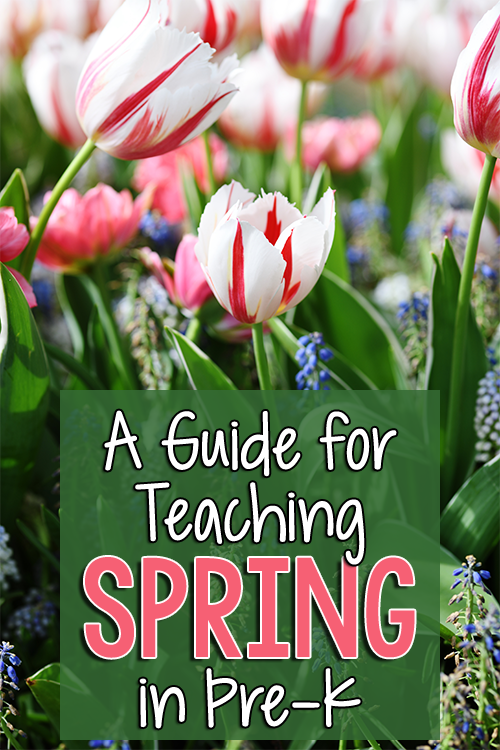 Here are some Spring activities, lessons, and printables for Pre-K, Preschool, and Kindergarten. What themes work for the Spring season? You can do one general theme of “Fall” and stretch it out through the season or through one month, incorporating many Spring books and activities. Longer themes make it so much easier to set up the classroom environment. You can incorporate the theme through the environment without changing the whole room every week if the theme changes each week. In March, I like to do a Wild Animals theme, adding in Safari Animals and Rainforest Animals. In April, I like to combine Bugs Theme with a Plants & Seeds Theme because of the ecological relationship between bugs and plants. These two themes can be combined, or you can do two weeks of Bugs and two weeks of Plants & Seeds in a month. To bring in the holidays of this season, you might want to do an Easter theme. What can you add to your Spring Science Center?